^ Irish Standard Time in the Republic of Ireland, British Summer Time in the United Kingdom and associated territories. The British Isles are a group of islands in the North Atlantic off the north-western coast of continental Europe that consist of the islands of Great Britain, Ireland, the Isle of Man, the Hebrides and over six thousand smaller isles. They have a total area of about 315,159 km2 and a combined population of almost 72 million, and include two sovereign states, the Republic of Ireland (which covers roughly five-sixths of Ireland), and the United Kingdom of Great Britain and Northern Ireland. The islands of Alderney, Jersey, Guernsey, and Sark, and their neighbouring smaller islands, are sometimes also taken to be part of the British Isles, even though, as islands off the coast of France, they do not form part of the archipelago. The oldest rocks in the group are in the north west of Scotland, Ireland, and North Wales and are 2.7 billion years old. During the Silurian period, the north-western regions collided with the south-east, which had been part of a separate continental landmass. The topography of the islands is modest in scale by global standards. Ben Nevis rises to an elevation of only 1,345 metres (4,413 ft), and Lough Neagh, which is notably larger than other lakes in the island group, covers 390 square kilometres (151 sq mi). The climate is temperate marine, with mild winters and warm summers. The North Atlantic drift brings significant moisture and raises temperatures 11 °C (20 °F) above the global average for the latitude. This led to a landscape which was long dominated by temperate rainforest, although human activity has since cleared the vast majority of forest cover. The region was re-inhabited after the last glacial period of Quaternary glaciation, by 12,000 BC, when Great Britain was still part of a peninsula of the European continent. Ireland, which became an island by 12,000 BC, was not inhabited until after 8000 BC. Great Britain became an island by 5600 BC. Hiberni (Ireland), Pictish (northern Britain) and Britons (southern Britain) tribes, all speaking Insular Celtic, inhabited the islands at the beginning of the 1st millennium AD. Much of Brittonic-occupied Britain was conquered by the Roman Empire from AD 43. The first Anglo-Saxons arrived as Roman power waned in the 5th century, and eventually dominated the bulk of what is now England. Viking invasions began in the 9th century, followed by more permanent settlements and political change, particularly in England. The Norman conquest of England in 1066 and the later Angevin partial conquest of Ireland from 1169 led to the imposition of a new Norman ruling elite across much of Britain and parts of Ireland. By the Late Middle Ages, Great Britain was separated into the Kingdoms of England and Kingdom of Scotland, while control in Ireland fluxed between Gaelic kingdoms, Hiberno-Norman lords and the English-dominated Lordship of Ireland, soon restricted only to The Pale. The 1603 Union of the Crowns, Acts of Union 1707 and Acts of Union 1800 attempted to consolidate Britain and Ireland into a single political unit, the United Kingdom of Great Britain and Ireland, with the Isle of Man and the Channel Islands remaining as Crown Dependencies. The expansion of the British Empire and migrations following the Irish Famine and Highland Clearances resulted in the dispersal of some of the islands' population and culture throughout the world, and a rapid depopulation of Ireland in the second half of the 19th century. Most of Ireland seceded from the United Kingdom after the Irish War of Independence and the subsequent Anglo-Irish Treaty (1919–1922), with six counties remaining in the UK as Northern Ireland. The term "British Isles" is controversial in Ireland, where there are nationalist objections to its usage. The Government of Ireland does not officially recognise the term, and its embassy in London discourages its use. Britain and Ireland is used as an alternative description, and Atlantic Archipelago has also seen limited use in academia. The earliest known references to the islands as a group appeared in the writings of sea-farers from the ancient Greek colony of Massalia. The original records have been lost; however, later writings, e.g. Avienus's Ora maritima, that quoted from the Massaliote Periplus (6th century BC) and from Pytheas's On the Ocean (circa 325–320 BC) have survived. In the 1st century BC, Diodorus Siculus has Prettanikē nēsos, "the British Island", and Prettanoi, "the Britons". Strabo used Βρεττανική (Brettanike), and Marcian of Heraclea, in his Periplus maris exteri, used αἱ Πρεττανικαί νῆσοι (the Prettanic Isles) to refer to the islands. Historians today, though not in absolute agreement, largely agree that these Greek and Latin names were probably drawn from native Celtic-language names for the archipelago. Along these lines, the inhabitants of the islands were called the Πρεττανοί (Priteni or Pretani). The shift from the "P" of Pretannia to the "B" of Britannia by the Romans occurred during the time of Julius Caesar. The Greco-Egyptian scientist Claudius Ptolemy referred to the larger island as great Britain (μεγάλη Βρεττανία megale Brettania) and to Ireland as little Britain (μικρὰ Βρεττανία mikra Brettania) in his work Almagest (147–148 AD). In his later work, Geography (c. 150 AD), he gave these islands the names Alwion, Iwernia, and Mona (the Isle of Man), suggesting these may have been names of the individual islands not known to him at the time of writing Almagest. The name Albion appears to have fallen out of use sometime after the Roman conquest of Great Britain, after which Britain became the more commonplace name for the island called Great Britain. The earliest known use of the phrase Brytish Iles in the English language is dated 1577 in a work by John Dee. Today, this name is seen by some as carrying imperialist overtones although it is still commonly used. Other names used to describe the islands include the Anglo-Celtic Isles, Atlantic archipelago, British-Irish Isles, Britain and Ireland, UK and Ireland, and British Isles and Ireland. Owing to political and national associations with the word British, the Government of Ireland does not use the term British Isles and in documents drawn up jointly between the British and Irish governments, the archipelago is referred to simply as "these islands". Nonetheless, British Isles is still the most widely accepted term for the archipelago. The British Isles in relation to the north-west European continental shelf. The British Isles lie at the juncture of several regions with past episodes of tectonic mountain building. These orogenic belts form a complex geology that records a huge and varied span of Earth's history. Of particular note was the Caledonian Orogeny during the Ordovician Period, c. 488–444 Ma and early Silurian period, when the craton Baltica collided with the terrane Avalonia to form the mountains and hills in northern Britain and Ireland. Baltica formed roughly the northwestern half of Ireland and Scotland. Further collisions caused the Variscan orogeny in the Devonian and Carboniferous periods, forming the hills of Munster, southwest England, and southern Wales. Over the last 500 million years the land that forms the islands has drifted northwest from around 30°S, crossing the equator around 370 million years ago to reach its present northern latitude. The islands have been shaped by numerous glaciations during the Quaternary Period, the most recent being the Devensian. As this ended, the central Irish Sea was deglaciated and the English Channel flooded, with sea levels rising to current levels some 4,000 to 5,000 years ago, leaving the British Isles in their current form. Whether or not there was a land bridge between Great Britain and Ireland at this time is somewhat disputed, though there was certainly a single ice sheet covering the entire sea. On the west coasts of Ireland and Scotland that directly face the Atlantic Ocean there are several long peninsulas, and many headlands and bays; the internal and eastern coasts are "smoother". There are about 136 permanently inhabited islands in the group, the largest two being Great Britain and Ireland. Great Britain is to the east and covers 83,700 sq mi (217,000 km2). Ireland is to the west and covers 32,590 sq mi (84,400 km2). The largest of the other islands are to be found in the Hebrides, Orkney and Shetland to the north, Anglesey and the Isle of Man between Great Britain and Ireland, and the Channel Islands near the coast of France. The islands are at relatively low altitudes, with central Ireland and southern Great Britain particularly low-lying: the lowest point in the islands is the North Slob in County Wexford, Ireland, with an elevation of −3.0 metres (−9.8 ft). The Scottish Highlands in the northern part of Great Britain are mountainous, with Ben Nevis being the highest point on the islands at 1,345 m (4,413 ft). Other mountainous areas include Wales and parts of Ireland, although only seven peaks in these areas reach above 1,000 m (3,281 ft). Lakes on the islands are generally not large, although Lough Neagh in Northern Ireland is an exception, covering 150 square miles (390 km2). The largest freshwater body in Great Britain (by area) is Loch Lomond at 27.5 square miles (71 km2), and Loch Ness, by volume whilst Loch Morar is the deepest freshwater body in the British Isles, with a maximum depth of 310 m (1,017 ft). There are a number of major rivers within the British Isles. The longest is the Shannon in Ireland at 224 mi (360 km). The river Severn at 220 mi (354 km) is the longest in Great Britain. The climate of the British Isles is mild, moist and changeable with abundant rainfall and a lack of temperature extremes. It is defined as a temperate oceanic climate, or Cfb on the Köppen climate classification system, a classification it shares with most of northwest Europe. The islands receive generally cool summers and mild winters. The North Atlantic Drift ("Gulf Stream"), which flows from the Gulf of Mexico, brings with it significant moisture and raises temperatures 11 °C (20 °F) above the global average for the islands' latitudes. Winters are cool and wet, with summers mild and also wet. Most Atlantic depressions pass to the north of the islands, combined with the general westerly circulation and interactions with the landmass, this imposes an east–west variation in climate. Some female red deer in Killarney National Park, Ireland. The islands enjoy a mild climate and varied soils, giving rise to a diverse pattern of vegetation. Animal and plant life is similar to that of the northwestern European mainland. There are however, fewer numbers of species, with Ireland having even less. All native flora and fauna in Ireland is made up of species that migrated from elsewhere in Europe, and Great Britain in particular. The only window when this could have occurred was between the end of the last Ice Age (about 12,000 years ago) and when the land bridge connecting the two islands was flooded by sea (about 8,000 years ago). As with most of Europe, prehistoric Britain and Ireland were covered with forest and swamp. Clearing began around 6000 BC and accelerated in medieval times. Despite this, Britain retained its primeval forests longer than most of Europe due to a small population and later development of trade and industry, and wood shortages were not a problem until the 17th century. By the 18th century, most of Britain's forests were consumed for shipbuilding or manufacturing charcoal and the nation was forced to import lumber from Scandinavia, North America, and the Baltic. Most forest land in Ireland is maintained by state forestation programmes. Almost all land outside urban areas is farmland. However, relatively large areas of forest remain in east and north Scotland and in southeast England. Oak, elm, ash and beech are amongst the most common trees in England. In Scotland, pine and birch are most common. Natural forests in Ireland are mainly oak, ash, wych elm, birch and pine. Beech and lime, though not native to Ireland, are also common there. Farmland hosts a variety of semi-natural vegetation of grasses and flowering plants. Woods, hedgerows, mountain slopes and marshes host heather, wild grasses, gorse and bracken. Many larger animals, such as wolf, bear and the European elk are today extinct. 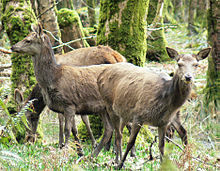 However, some species such as red deer are protected. Other small mammals, such as rabbits, foxes, badgers, hares, hedgehogs, and stoats, are very common and the European beaver has been reintroduced in parts of Scotland. Wild boar have also been reintroduced to parts of southern England, following escapes from boar farms and illegal releases. Many rivers contain otters and seals are common on coasts. Over 200 species of bird reside permanently and another 200 migrate. Common types are the common chaffinch, common blackbird, house sparrow and common starling; all small birds. Large birds are declining in number, except for those kept for game such as pheasant, partridge, and red grouse. Fish are abundant in the rivers and lakes, in particular salmon, trout, perch and pike. Sea fish include dogfish, cod, sole, pollock and bass, as well as mussels, crab and oysters along the coast. There are more than 21,000 species of insects. Few species of reptiles or amphibians are found in Great Britain or Ireland. Only three snakes are native to Great Britain: the common European adder, the grass snake and the smooth snake; none are native to Ireland. In general, Great Britain has slightly more variation and native wild life, with weasels, polecats, wildcats, most shrews, moles, water voles, roe deer and common toads also being absent from Ireland. This pattern is also true for birds and insects. Notable exceptions include the Kerry slug and certain species of woodlouse native to Ireland but not Great Britain. Domestic animals include the Connemara pony, Shetland pony, English Mastiff, Irish wolfhound and many varieties of cattle and sheep. Population density per km² of the British Isles' regions. England has a generally high population density, with almost 80% of the total population of the islands. Elsewhere in Great Britain and Ireland, high density of population is limited to areas around a few large cities. The largest urban area by far is the Greater London Built-up Area with 9 million inhabitants. Other major population centres include the Greater Manchester Built-up Area (2.4 million), West Midlands conurbation (2.4 million) and West Yorkshire Urban Area (1.6 million) in England, Greater Glasgow (1.2 million) in Scotland and Greater Dublin Area (1.9 million) in Ireland. The population of England rose rapidly during the 19th and 20th centuries, whereas the populations of Scotland and Wales showed little increase during the 20th century; the population of Scotland has remained unchanged since 1951. Ireland for most of its history had much the same population density as Great Britain (about one third of the total population). However, since the Great Irish Famine, the population of Ireland has fallen to less than one tenth of the population of the British Isles. The famine caused a century-long population decline, drastically reduced the Irish population and permanently altered the demographic make-up of the British Isles. On a global scale, this disaster led to the creation of an Irish diaspora that numbers fifteen times the current population of the island. The linguistic heritage of the British Isles is rich, with twelve languages from six groups across four branches of the Indo-European family. The Insular Celtic languages of the Goidelic sub-group (Irish, Manx and Scottish Gaelic) and the Brittonic sub-group (Cornish, Welsh and Breton, spoken in north-western France) are the only remaining Celtic languages—the last of their continental relations were extinct before the 7th century. The Norman languages of Guernésiais, Jèrriais and Sercquiais spoken in the Channel Islands are similar to French. A cant, called Shelta, is spoken by Irish Travellers, often to conceal meaning from those outside the group. However, English, including Scots, is the dominant language, with few monoglots remaining in the other languages of the region. The Norn language of Orkney and Shetland became extinct around 1880. At the end of the last ice age, what are now the British Isles were joined to the European mainland as a mass of land extending north west from the modern-day northern coastline of France, Belgium and the Netherlands. Ice covered almost all of what is now Scotland, most of Ireland and Wales, and the hills of northern England. From 14,000 to 10,000 years ago, as the ice melted, sea levels rose separating Ireland from Great Britain and also creating the Isle of Man. About two to four millennia later, Great Britain became separated from the mainland. Britain probably became repopulated with people before the ice age ended and certainly before it became separated from the mainland. It is likely that Ireland became settled by sea after it had already become an island. At the time of the Roman Empire, about two thousand years ago, various tribes, which spoke Celtic dialects of the Insular Celtic group, were inhabiting the islands. The Romans expanded their civilisation to control southern Great Britain but were impeded in advancing any further, building Hadrian's Wall to mark the northern frontier of their empire in 122 AD. At that time, Ireland was populated by a people known as Hiberni, the northern third or so of Great Britain by a people known as Picts and the southern two thirds by Britons. Anglo-Saxons arrived as Roman power waned in the 5th century AD. Initially, their arrival seems to have been at the invitation of the Britons as mercenaries to repulse incursions by the Hiberni and Picts. In time, Anglo-Saxon demands on the British became so great that they came to culturally dominate the bulk of southern Great Britain, though recent genetic evidence suggests Britons still formed the bulk of the population. This dominance creating what is now England and leaving culturally British enclaves only in the north of what is now England, in Cornwall and what is now known as Wales. Ireland had been unaffected by the Romans except, significantly, for being Christianised—traditionally by the Romano-Briton, Saint Patrick. As Europe, including Britain, descended into turmoil following the collapse of Roman civilisation, an era known as the Dark Ages, Ireland entered a golden age and responded with missions (first to Great Britain and then to the continent), the founding of monasteries and universities. These were later joined by Anglo-Saxon missions of a similar nature. 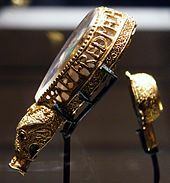 Viking invasions began in the 9th century, followed by more permanent settlements, particularly along the east coast of Ireland, the west coast of modern-day Scotland and the Isle of Man. Though the Vikings were eventually neutralised in Ireland, their influence remained in the cities of Dublin, Cork, Limerick, Waterford and Wexford. England, however, was slowly conquered around the turn of the first millennium AD, and eventually became a feudal possession of Denmark. The relations between the descendants of Vikings in England and counterparts in Normandy, in northern France, lay at the heart of a series of events that led to the Norman conquest of England in 1066. The remnants of the Duchy of Normandy, which conquered England, remain associated to the English Crown as the Channel Islands to this day. A century later, the marriage of the future Henry II of England to Eleanor of Aquitaine created the Angevin Empire, partially under the French Crown. At the invitation of Diarmait Mac Murchada, a provincial king, and under the authority of Pope Adrian IV (the only Englishman to be elected pope), the Angevins invaded Ireland in 1169. Though initially intended to be kept as an independent kingdom, the failure of the Irish High King to ensure the terms of the Treaty of Windsor led Henry II, as King of England, to rule as effective monarch under the title of Lord of Ireland. This title was granted to his younger son, but when Henry's heir unexpectedly died, the title of King of England and Lord of Ireland became entwined in one person. By the Late Middle Ages, Great Britain was separated into the Kingdoms of England and Scotland. Power in Ireland fluxed between Gaelic kingdoms, Hiberno-Norman lords and the English-dominated Lordship of Ireland. A similar situation existed in the Principality of Wales, which was slowly being annexed into the Kingdom of England by a series of laws. During the course of the 15th century, the Crown of England would assert a claim to the Crown of France, thereby also releasing the King of England from being vassal of the King of France. In 1534, King Henry VIII, at first having been a strong defender of Roman Catholicism in the face of the Reformation, separated from the Roman Church after failing to secure a divorce from the Pope. His response was to place the King of England as "the only Supreme Head in Earth of the Church of England", thereby removing the authority of the Pope from the affairs of the English Church. Ireland, which had been held by the King of England as Lord of Ireland, but which strictly speaking had been a feudal possession of the Pope since the Norman invasion was declared a separate kingdom in personal union with England. Scotland, meanwhile had remained an independent Kingdom. In 1603, that changed when the King of Scotland inherited the Crown of England, and consequently the Crown of Ireland also. The subsequent 17th century was one of political upheaval, religious division and war. English colonialism in Ireland of the 16th century was extended by large-scale Scottish and English colonies in Ulster. Religious division heightened and the king in England came into conflict with parliament over his tolerance towards Catholicism. 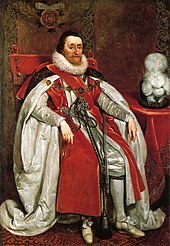 The resulting English Civil War or War of the Three Kingdoms led to a revolutionary republic in England. Ireland, largely Catholic was mainly loyal to the king. Following defeat to the parliaments army, large scale land distributions from loyalist Irish nobility to English commoners in the service of the parliamentary army created a new Ascendancy class which obliterated the remnants of Old English (Hiberno-Norman) and Gaelic Irish nobility in Ireland. The new ruling class was Protestant and English, whilst the populace was largely Catholic and Irish. This theme would influence Irish politics for centuries to come. When the monarchy was restored in England, the king found it politically impossible to restore the lands of former land-owners in Ireland. The "Glorious Revolution" of 1688 repeated similar themes: a Catholic king pushing for religious tolerance in opposition to a Protestant parliament in England. The king's army was defeated at the Battle of the Boyne and at the militarily crucial Battle of Aughrim in Ireland. Resistance held out, eventually forcing the guarantee of religious tolerance in the Treaty of Limerick. However, the terms were never honoured and a new monarchy was installed. The Kingdoms of England and Scotland were unified in 1707 creating the Kingdom of Great Britain. Following an attempted republican revolution in Ireland in 1798, the Kingdoms of Ireland and Great Britain were unified in 1801, creating the United Kingdom. The Isle of Man and the Channel Islands remaining outside of the United Kingdom but with their ultimate good governance being the responsibility of the British Crown (effectively the British government). Although, the colonies of North America that would become the United States of America were lost by the start of the 19th century, the British Empire expanded rapidly elsewhere. A century later it would cover one third of the globe. Poverty in the United Kingdom remained desperate, however, and industrialisation in England led to terrible condition for the working classes. Mass migrations following the Irish Famine and Highland Clearances resulted in the distribution of the islands' population and culture throughout the world and a rapid de-population of Ireland in the second half of the 19th century. Most of Ireland seceded from the United Kingdom after the Irish War of Independence and the subsequent Anglo-Irish Treaty (1919–1922), with the six counties that formed Northern Ireland remaining as an autonomous region of the UK. There are two sovereign states in the isles: Ireland and the United Kingdom of Great Britain and Northern Ireland. Ireland, sometimes called the Republic of Ireland, governs five sixths of the island of Ireland, with the remainder of the island forming Northern Ireland. Northern Ireland is a part of the United Kingdom of Great Britain and Northern Ireland, usually shortened to simply the United Kingdom, which governs the remainder of the archipelago with the exception of the Isle of Man and the Channel Islands. The Isle of Man and the two states of the Channel Islands, Jersey and Guernsey, are known as the Crown dependencies. They exercise constitutional rights of self-government and judicial independence; responsibility for international representation rests largely upon the UK (in consultation with the respective governments); and responsibility for defence is reserved by the UK. 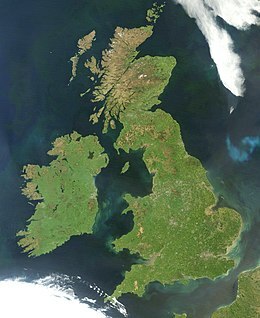 The United Kingdom is made up of four constituent parts: England, Scotland and Wales, forming Great Britain, and Northern Ireland in the north-east of the island of Ireland. Of these, Scotland, Wales and Northern Ireland have "devolved" governments, meaning that each has its own parliament or assembly and is self-governing with respect to certain areas set down by law. For judicial purposes, Scotland, Northern Ireland and England and Wales (the latter being one entity) form separate legal jurisdiction, with there being no single law for the UK as a whole. Ireland, the United Kingdom and the three Crown dependencies are all parliamentary democracies, with their own separate parliaments. All parts of the United Kingdom return members to parliament in London. In addition to this, voters in Scotland, Wales and Northern Ireland return members to a parliament in Edinburgh and to assemblies in Cardiff and Belfast respectively. Governance in the norm is by majority rule, however, Northern Ireland uses a system of power sharing whereby unionists and nationalists share executive posts proportionately and where the assent of both groups is required for the Northern Ireland Assembly to make certain decisions. (In the context of Northern Ireland, unionists are those who want Northern Ireland to remain a part of the United Kingdom and nationalists are those who want Northern Ireland to join with the rest of Ireland.) The British monarch is the head of state of the United Kingdom, while in the Republic of Ireland the head of state is the President of Ireland. Ireland and the United Kingdom are both part of the European Union (EU). The Crown dependencies are not a part of the EU, but do participate in certain aspects that were negotiated as a part of the UK's accession to the EU. Neither the United Kingdom or Ireland are part of the Schengen Area, that allow passport-free travel between EU members states. However, since the partition of Ireland, an informal free-travel area had existed across the region. This area required formal recognition in 1997 during the course of negotiations for the Amsterdam Treaty of the European Union, and is now known as the Common Travel Area. Reciprocal arrangements allow British and Irish citizens full voting rights in the two states. Exceptions to this are presidential elections and constitutional referendums in the Republic of Ireland, for which there is no comparable franchise in the other states. In the United Kingdom, these pre-date European Union law, and in both jurisdictions go further than that required by European Union law. Other EU nationals may only vote in local and European Parliament elections while resident in either the UK or Ireland. In 2008, a UK Ministry of Justice report investigating how to strengthen the British sense of citizenship proposed to end this arrangement, arguing that "the right to vote is one of the hallmarks of the political status of citizens; it is not a means of expressing closeness between countries". In addition, some civil bodies are organised throughout the islands as a whole—for example the Samaritans, which is deliberately organised without regard to national boundaries on the basis that a service which is not political or religious should not recognise sectarian or political divisions. The Royal National Lifeboat Institution (RNLI), a charity that operates a lifeboat service, is also organised throughout the islands as a whole, covering the waters of the United Kingdom, Ireland, the Isle of Man, and the Channel Islands. The Northern Ireland peace process has led to a number of unusual arrangements between the Republic of Ireland, Northern Ireland and the United Kingdom. For example, citizens of Northern Ireland are entitled to the choice of Irish or British citizenship or both and the Governments of Ireland and the United Kingdom consult on matters not devolved to the Northern Ireland Executive. The Northern Ireland Executive and the Government of Ireland also meet as the North/South Ministerial Council to develop policies common across the island of Ireland. These arrangements were made following the 1998 Good Friday Agreement. Another body established under the Good Friday Agreement, the British–Irish Council, is made up of all of the states and territories of the British Isles. The British–Irish Parliamentary Assembly (Irish: Tionól Pharlaiminteach na Breataine agus na hÉireann) predates the British–Irish Council and was established in 1990. Originally it comprised 25 members of the Oireachtas, the Irish parliament, and 25 members of the parliament of the United Kingdom, with the purpose of building mutual understanding between members of both legislatures. Since then the role and scope of the body has been expanded to include representatives from the Scottish Parliament, the National Assembly for Wales, the Northern Ireland Assembly, the States of Jersey, the States of Guernsey and the High Court of Tynwald (Isle of Man). The Council does not have executive powers, but meets biannually to discuss issues of mutual importance. Similarly, the Parliamentary Assembly has no legislative powers but investigates and collects witness evidence from the public on matters of mutual concern to its members. Reports on its findings are presented to the Governments of Ireland and the United Kingdom. During the February 2008 meeting of the British–Irish Council, it was agreed to set up a standing secretariat that would serve as a permanent 'civil service' for the Council. Leading on from developments in the British–Irish Council, the chair of the British–Irish Inter-Parliamentary Assembly, Niall Blaney, has suggested that the body should shadow the British–Irish Council's work. Pádraig Harrington teeing off at the Open Championship (golf) in 2007. The United Kingdom and Ireland have separate media, although British television, newspapers and magazines are widely available in Ireland, giving people in Ireland a high level of familiarity with cultural matters in the United Kingdom. Irish newspapers are also available in the UK, and Irish state and private television is widely available in Northern Ireland. Certain reality TV shows have embraced the whole of the islands, for example The X Factor, seasons 3, 4 and 7 of which featured auditions in Dublin and were open to Irish voters, whilst the show previously known as Britain's Next Top Model became Britain and Ireland's Next Top Model in 2011. A few cultural events are organised for the island group as a whole. For example, the Costa Book Awards are awarded to authors resident in the UK or Ireland. The Mercury Music Prize is handed out every year to the best album from a British or Irish musician or group. Many globally popular sports had modern rules codified in the British Isles, including golf, association football, cricket, rugby, snooker and darts, as well as many minor sports such as croquet, bowls, pitch and putt, water polo and handball. 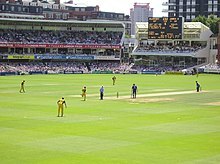 A number of sports are popular throughout the British Isles, the most prominent of which is association football. While this is organised separately in different national associations, leagues and national teams, even within the UK, it is a common passion in all parts of the islands. Rugby union is also widely enjoyed across the islands with four national teams from England, Ireland, Scotland and Wales. The British and Irish Lions is a team chosen from each national team and undertakes tours of the Southern Hemisphere rugby-playing nations every four years. Ireland play as a united team, represented by players from both Northern Ireland and the Republic. These national rugby teams play each other each year for the Triple Crown as part of the Six Nations Championship. Also, since 2001, the professional club teams of Ireland, Scotland, Wales and Italy compete against each other in the Pro14. The Ryder Cup in golf was originally played between a United States team and a team representing Great Britain and Ireland. From 1979 onwards this was expanded to include the whole of Europe. HSC Stena Explorer, a large fast ferry on the former Holyhead–Dún Laoghaire route between Great Britain and Ireland. London Heathrow Airport is Europe's busiest airport in terms of passenger traffic, and the Dublin-London route is the busiest air route in Europe collectively, the busiest route out of Heathrow, and the second-busiest international air route in the world. The English Channel and the southern North Sea are the busiest seaways in the world. The Channel Tunnel, opened in 1994, links Great Britain to France and is the second-longest rail tunnel in the world. The idea of building a tunnel under the Irish Sea has been raised since 1895, when it was first investigated. Several potential Irish Sea tunnel projects have been proposed, most recently the Tusker Tunnel between the ports of Rosslare and Fishguard proposed by The Institute of Engineers of Ireland in 2004. A rail tunnel was proposed in 1997 on a different route, between Dublin and Holyhead, by British engineering firm Symonds. Either tunnel, at 50 mi (80 km), would be by far the longest in the world, and would cost an estimated £15 billion or €20 billion. A proposal in 2007, estimated the cost of building a bridge from County Antrim in Northern Ireland to Galloway in Scotland at £3.5bn (€5bn). ^ "Règlement (1953) (Amendement) Sur L'importation et L'exportation D'animaux". States of Jersey. Retrieved 2 February 2012. ^ a b Country/Territory Index, Island Directory, United Nations Environment Programme. Retrieved 9 August 2015. Island Facts Archived 4 March 2016 at the Wayback Machine, Isle of Man Government. Retrieved 9 August 2015. ^ a b c "Great Britain's tallest mountain is taller - Ordnance Survey Blog". Ordnance Survey Blog. 2016-03-18. Retrieved 2018-09-09. ^ "World Population Prospects 2017". ^ The diplomatic and constitutional name of the Irish state is simply Ireland. For disambiguation purposes, Republic of Ireland is often used although technically not the name of the state but, according to the Republic of Ireland Act 1948, the state "may be described" as such. ^ Alan, Lew; Colin, Hall; Dallen, Timothy (2008). World Geography of Travel and Tourism: A Regional Approach. Oxford: Elsevier. ISBN 978-0-7506-7978-7. The British Isles comprise more than 6,000 islands off the northwest coast of continental Europe, including the countries of the United Kingdom of Great Britain (England, Scotland and Wales) and Northern Ireland, and the Republic of Ireland. The group also includes the United Kingdom crown dependencies of the Isle of Man, and by tradition, the Channel Islands (the Bailiwicks of Guernsey and Jersey), even though these islands are strictly speaking an archipelago immediately off the coast of Normandy (France) rather than part of the British Isles. ^ Woodcock, Nigel H.; Rob Strachan (2012). Geological History of Britain and Ireland. John Wiley & Sons. pp. 49–50. ISBN 978-1-1182-7403-3. ^ "The Island of Ireland: Drowning the Myth of and Irish Land-Bridge?" (PDF). Retrieved 2019-02-02. ^ Celtic Culture: Aberdeen breviary-celticism. 2006. ISBN 9781851094400. ^ Social work in the British Isles by Malcolm Payne, Steven Shardlow When we think about social work in the British Isles, a contentious term if ever there was one, what do we expect to see? ^ a b Davies, Alistair; Sinfield, Alan (2000), British Culture of the Postwar: An Introduction to Literature and Society, 1945–1999, Routledge, p. 9, ISBN 978-0-415-12811-7, Some of the Irish dislike the 'British' in 'British Isles', while a minority of the Welsh and Scottish are not keen on 'Great Britain'. ... In response to these difficulties, 'Britain and Ireland' is becoming preferred official usage if not in the vernacular, although there is a growing trend amongst some critics to refer to Britain and Ireland as 'the archipelago'. ^ a b "Written Answers – Official Terms" Archived 6 October 2012 at the Wayback Machine, Dáil Éireann, Volume 606, 28 September 2005. In his response, the Irish Minister for Foreign Affairs stated that "The British Isles is not an officially recognised term in any legal or inter-governmental sense. It is without any official status. The Government, including the Department of Foreign Affairs, does not use this term. Our officials in the Embassy of Ireland, London, continue to monitor the media in Britain for any abuse of the official terms as set out in the Constitution of Ireland and in legislation. These include the name of the State, the President, Taoiseach and others." ^ a b Hazlett, Ian (2003). The Reformation in Britain and Ireland: an introduction. Continuum International Publishing Group. p. 17. ISBN 978-0-567-08280-0. At the outset, it should be stated that while the expression 'The British Isles' is evidently still commonly employed, its intermittent use throughout this work is only in the geographic sense, in so far as that is acceptable. Since the early twentieth century, that nomenclature has been regarded by some as increasingly less usable. It has been perceived as cloaking the idea of a 'greater England', or an extended south-eastern English imperium, under a common Crown since 1603 onwards. ... Nowadays, however, 'Britain and Ireland' is the more favoured expression, though there are problems with that too. ... There is no consensus on the matter, inevitably. It is unlikely that the ultimate in non-partisanship that has recently appeared the (East) 'Atlantic Archipelago' will have any appeal beyond captious scholars. ^ "Guardian Style Guide", Guardian, London, 19 December 2008, A geographical term taken to mean Great Britain, Ireland and some or all of the adjacent islands such as Orkney, Shetland and the Isle of Man. The phrase is best avoided, given its (understandable) unpopularity in the Irish Republic. The plate in the National Geographic Atlas of the World once titled British Isles now reads Britain and Ireland. ^ Norquay, Glenda; Smyth, Gerry (2002), Across the margins: cultural identity and change in the Atlantic archipelago, Manchester University Press, p. 4, ISBN 978-0-7190-5749-6, The term we favour here—Atlantic Archipelago—may prove to be of no greater use in the long run, but at this stage it does at least have the merit of questioning the ideology underpinning more established nomenclature. ^ Schwyzer, Philip; Mealor, Simon (2004), Archipelagic identities: literature and identity in the Atlantic Archipelago, Ashgate Publishing, p. 10, ISBN 978-0-7546-3584-0, In some ways 'Atlantic Archipelago' is intended to do the work of including without excluding, and while it seems to have taken root in terms of academic conferences and publishing, I don't see it catching on in popular discourse or official political circles, at least not in a hurry. ^ Kumar, Krishan (2003), The Making of English National Identity, Cambridge University Press, p. 6, ISBN 978-0-521-77736-0, Some scholars, seeking to avoid the political and ethnic connotations of 'the British Isles', have proposed the 'Atlantic Archipelago' or even 'the East Atlantic Archipelago' (see, e.g. Pocock 1975a: 606; 1995: 292n; Tompson, 1986) Not surprisingly this does not seem to have caught on with the general public, though it has found increasing favour with scholars promoting the new 'British History'. ^ David Armitage; Michael Braddick (2002), The British Atlantic world, 1500–1800, Palgrave Macmillan, p. 284, ISBN 978-0-333-96340-1, British and Irish historians increasingly use 'Atlantic archipelago' as a less metro-centric term for what is popularly known as the British Isles. ^ a b c Allen, p. 172–174. ^ Diodorus Siculus' Bibliotheca Historica Book V. Chapter XXI. Section 1 Greek text at the Perseus Project. ^ Diodorus Siculus' Bibliotheca Historica Book V. Chapter XXI. Section 2 Greek text at the Perseus Project. ^ a b Snyder, p. 12. ^ Claudius Ptolemy (1898). "Ἕκθεσις τῶν κατὰ παράλληλον ἰδιωμάτων: κβ', κε'" (PDF). In Heiberg, J.L. Claudii Ptolemaei Opera quae exstant omnia. vol.1 Syntaxis Mathematica. Leipzig: in aedibus B. G. Teubneri. pp. 112–113. ^ Claudius Ptolemy (1843). "Book II, Prooemium and chapter β', paragraph 12" (PDF). In Nobbe, Carolus Fridericus Augustus. Claudii Ptolemaei Geographia. vol.1. Leipzig: sumptibus et typis Caroli Tauchnitii. pp. 59, 67. ^ Freeman, Philip (2001). Ireland and the classical world. Austin, Texas: University of Texas Press. p. 65. ISBN 978-0-292-72518-8. ^ John Dee, 1577. 1577 J. Arte Navigation, p. 65 "The syncere Intent, and faythfull Aduise, of Georgius Gemistus Pletho, was, I could..frame and shape very much of Gemistus those his two Greek Orations..for our Brytish Iles, and in better and more allowable manner." From the OED, s.v. "British Isles"
^ D. A. Coleman (1982), Demography of immigrants and minority groups in the United Kingdom: proceedings of the eighteenth annual symposium of the Eugenics Society, London 1981, Volume 1981, Academic Press, p. 213, ISBN 978-0-12-179780-5, The geographical term British Isles is not generally acceptable in Ireland, the term these islands being widely used instead. I prefer the Anglo-Celtic Isles, or the North-West European Archipelago. ^ Irish historical studies: Joint Journal of the Irish Historical Society and the Ulster Society for Irish Historical Studies, Hodges, Figgis & Co., 1990, p. 98, There is mug to be said for considering the archipelago as a whole, for a history of the British or Anglo-Celtic isles or 'these islands'. British Isles, the (geography) A geographical (not political or constitutional) term for Engliand, Scotland, Wales, and Ireland (including the Republic of Ireland), together with all offshore islands. A more accurate (and politically acceptable) term today is the British-Irish Isles. ^ "Blackwellreference.com". Blackwellreference.com. Retrieved 7 November 2010. ^ a b World and its Peoples: Ireland and United Kingdom, London: Marshall Cavendish, 2010, p. 8, The nomenclature of Great Britain and Ireland and the status of the different parts of the archipelago are often confused by people in other parts of the world. The name British Isles is commonly used by geographers for the archipelago; in the Republic of Ireland, however, this name is considered to be exclusionary. In the Republic of Ireland, the name British-Irish Isles is occasionally used. However, the term British-Irish Isles is not recognized by international geographers. In all documents jointly drawn up by the British and Irish governments, the archipelago is simply referred to as "these islands". The name British Isles remains the only generally accepted terms for the archipelago off the northwestern coast of mainland Europe. ^ Goudie, Andrew S.; D. Brunsden (1994). The Environment of the British Isles, an Atlas. Oxford: Clarendon Press. p. 2. ^ a b "100 Largest Islands of the World". ^ "Marine Climatology". Met Éireann. Retrieved 30 January 2008. ^ Mayes, Julian; Dennis Wheeler (1997). Regional Climates of the British Isles. London: Routledge. p. 13. ^ "Guide to British Snakes". Wildlife Britain wildlifebritain.com. Retrieved 17 August 2010. ^ "Dublin Region Facts | Dublin Chamber of Commerce". www.dubchamber.ie. Retrieved 2017-10-12. ^ WB Lockwood (1975), Languages of the British Isles Past and Present, British Columbia: Ladysmith, ISBN 978-0-233-96666-3, An introduction to the rich linguistic heritage of Great Britain and Ireland. ^ Waddel, John; Conroy, Jane (1999), Spriggs, Matthew, ed., "Celts and Other: Maritime Contact and Linguistic Change", Archaeology and Language, London: Routledge, 35, p. 127, ISBN 978-0-415-11786-9, Continental Celtic includes Gaulish, Lepontic, Hispano-Celtic (or Celtiberian) and Galatian. All were extinct by the seventh century AD. ^ Varner, Gary (2008), Charles G. Leland: The Man & the Myth, Morrisville, North Carolina: Lulu Press, p. 41, ISBN 978-1-4357-4394-6, Shelta does in fact exist as a secret language as is used to conceal meaning from outsiders, used primarily in Gypsy business or negotiations or when speaking around the police. ^ J. M. Y. Simpson, R. E. Asher (1994), The Encyclopedia of Language and Linguistics, Volume 5, Oxford: Pergamon Press, p. 2505, ISBN 978-0-08-035943-4, Thus, apart from the very young, there are virtually no monoglot speakers of Irish, Scots Gaelic, or Welsh. ^ Hindley, Reg (1990), The Death of the Irish Language: A Qualified Obituary, Oxon: Taylor & Francis, p. 221, ISBN 978-0-415-04339-7, Three indigenous languages have died in the British Isles since around 1780: Cornish (traditionally in 1777), Norn (the Norse language of Shetland: c. 1880), Manx (1974). ^ a b "Jersey's relationship with the UK and EU". Gov.je. Retrieved 7 November 2010. ^ "States of Guernsey: Constitution". Gov.gg. Retrieved 7 November 2010. ^ "Relationship with European Union – Isle of Man Government – Chief Secretarys Office". Gov.im. Archived from the original on 25 September 2010. Retrieved 7 November 2010. ^ RNLI.org.uk, The RNLI is a charity that provides a 24-hour lifesaving service around the UK and Republic of Ireland. ^ "Ireland". Museum.tv. Retrieved 17 October 2008. ^ Hardisty, Jack (1990), The British Seas: an Introduction to the Oceanography and Resources of the North-west European Continental Shelf, London: Routledge, p. 5, ISBN 978-0-415-03586-6, Not only are the English Channel and the Southern North Sea, in particular, the busiest shipping clearways in the world, but the seas are also sources of the European community's industrial wealth (fisheries, petroleum, aggregates, and power) and sinks for the disposal of refuse from its intensely urbanized and industrialized coats. Allen, Stephen (2007). Lords of Battle: The World of the Celtic Warrior. Osprey Publishing. ISBN 978-1-84176-948-6. Collingwood, Robin George (1998). Roman Britain and the English Settlements. Biblo & Tannen Publishers. ISBN 978-0-8196-1160-4. Davies, Norman (2000). The Isles a History. Macmillan. ISBN 978-0-333-69283-7. Ferguson, Niall (2004). Empire. Basic Books. ISBN 978-0-465-02329-5. Retrieved 22 July 2009. Harley, John Brian; David Woodward (1987). The History of Cartography: Cartography in prehistoric, ancient, and medieval Europe and the Mediterranean. Humana Press. ISBN 978-0-226-31633-8. Maddison, Angus (2001). The World Economy: A Millennial Perspective. Organisation for Economic Co-operation and Development. ISBN 978-92-64-18654-5. Retrieved 22 July 2009. Markale, Jean (1994). King of the Celts. Bear & Company. ISBN 978-0-89281-452-7. Snyder, Christopher (2003). The Britons. Blackwell Publishing. ISBN 978-0-631-22260-6. 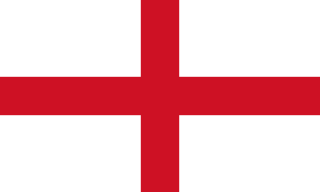 Wikimedia Commons has media related to British Isles. An interactive geological map of the British Isles. The Isle of Man, sometimes referred to simply as Mann, is a self-governing British Crown dependency in the Irish Sea between Great Britain and Ireland. The head of state is Queen Elizabeth II, who holds the title of Lord of Mann and is represented by a lieutenant governor. Defence is the responsibility of the United Kingdom. The United Kingdom is a sovereign state located off the north-western coast of continental Europe. With a total area of approximately 248,532 square kilometres (95,960 sq mi), the UK occupies the major part of the British Isles archipelago and includes the island of Great Britain, the north-eastern one-sixth of the island of Ireland and many smaller surrounding islands. The mainland areas lie between latitudes 49°N and 59°N, and longitudes 8°W to 2°E. The Royal Greenwich Observatory, in South East London, is the defining point of the Prime Meridian. English, in various dialects, is the most widely spoken language of the United Kingdom, however there are a number of regional languages also spoken. There are 14 indigenous languages used across the British Isles: 5 Celtic, 3 Germanic, 3 Romance, and 3 sign languages. There are also many immigrant languages spoken in the British Isles, mainly within inner city areas; these languages are mainly from South Asia and Eastern Europe. This page is a list of the larger islands that form the British Isles, listing area and population data. The total area of the islands is 314,965 km2. Great Britain accounts for the larger part of this area at 66%, with Ireland accounting for 26%, leaving the remaining 8%—an area of 23,996 km2—comprising thousands of smaller islands. The largest of the other islands are to be found in the Hebrides and Northern Isles to the north, and Anglesey and the Isle of Man between Great Britain and Ireland. Not included are the Channel Islands which are positioned off the coast of France. The English language in Europe, as a native language, is mainly spoken in the United Kingdom and Ireland. Outside of these states, it has a special status in the Crown dependencies, Gibraltar and Malta. In the Kingdom of the Netherlands, English has an official status as a regional language on the isles of Saba and Sint Eustatius. In other parts of Europe, English is spoken mainly by those who have learnt it as a second language, but also, to a lesser extent, natively by some expatriates from some countries in the English-speaking world. The Britons, also known as Celtic Britons or Ancient Britons, were Celtic people who inhabited Great Britain from the British Iron Age into the Middle Ages, at which point their culture and language diverged into the modern Welsh, Cornish and Bretons. They spoke the Common Brittonic language, the ancestor to the modern Brittonic languages. The terminology of the British Isles refers to the various words and phrases that are used to describe the different geographical and political areas of the islands of Great Britain, Ireland, and the smaller islands which surround them. The terminology is often a source of confusion, partly owing to the similarity between some of the actual words used, but also because they are often used loosely. In addition, many of the words carry both geographical and political connotations which are affected by the history of the islands. The Celtic nations are territories in western Europe where Celtic languages or cultural traits have survived. The term "nation" is used in its original sense to mean a people who share a common identity and culture and are identified with a traditional territory. In British English usage, the toponym "British Isles" refers to a European archipelago consisting of Great Britain, Ireland and adjacent islands. However, the word "British" is also an adjective and demonym referring to the United Kingdom and more historically associated with the British Empire. For this reason, the name British Isles is avoided by some in Hiberno-English, as such usage could be construed to imply continued territorial claims or political overlordship of the Republic of Ireland by the United Kingdom. The island of Great Britain, along with the rest of the archipelago known as the British Isles, has a largely temperate climate. It contains a relatively small fraction of the world's wildlife. The biota was severely diminished in the last Ice Age, and shortly thereafter was separated from the continent by the English Channel's formation. Since then, man has hunted the most dangerous forms to extinction, though domesticated forms such as the dog and the pig remain. The wild boar has subsequently been reintroduced as a meat animal. Great Britain is an island in the North Atlantic Ocean off the northwest coast of continental Europe. With an area of 209,331 km2 (80,823 sq mi), it is the largest of the British Isles, the largest European island, and the ninth-largest island in the world. In 2011, Great Britain had a population of about 61 million people, making it the world's third-most populous island after Java in Indonesia and Honshu in Japan. The island of Ireland is situated to the west of Great Britain, and together these islands, along with over 1,000 smaller surrounding islands, form the British Isles archipelago. 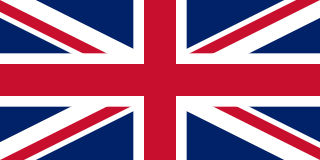 The formation of the United Kingdom of Great Britain and Northern Ireland has involved personal and political union across Great Britain and the wider British Isles. The United Kingdom is the most recent of a number of sovereign states that have been established in Great Britain at different periods in history, in different combinations and under a variety of polities. Norman Davies has counted sixteen different states over the past 2,000 years. 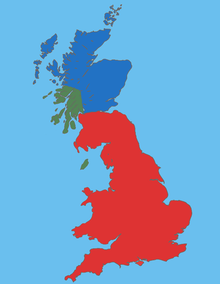 The United Kingdom (UK) comprises four countries: England, Scotland and Wales and Northern Ireland. The British Isles comprise two sovereign states, Republic of Ireland and the United Kingdom, and three dependencies of the British Crown, Guernsey, Jersey and the Isle of Man.